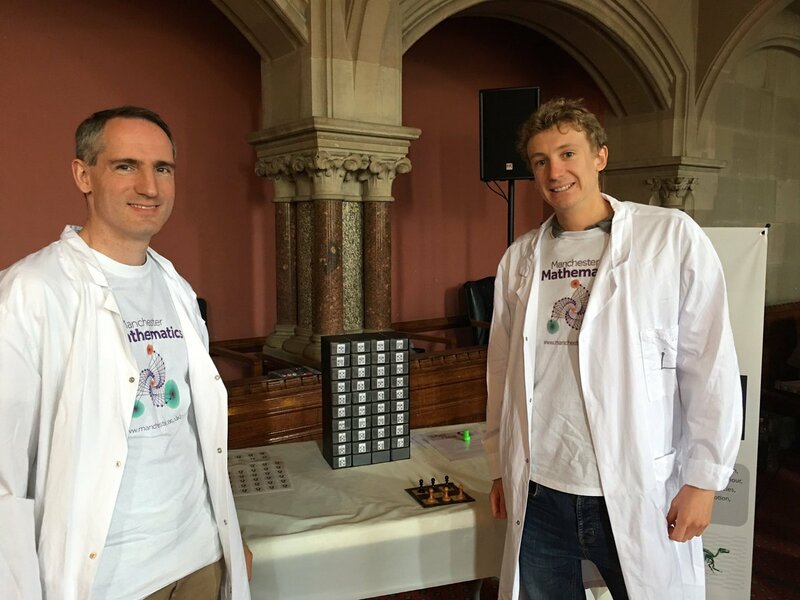 As part of The Brain Box, which took place on Manchester Day in June 2016, we took along an analogue learning machine that could be trained to play Hexapawn, a simple game invented by Martin Gardner. The activity was very popular, so here are some instructions if you want to make your own learning machine. The machine is a collection of drawers, each representing a position in the game (if you want to be fancy you can call this the state space). 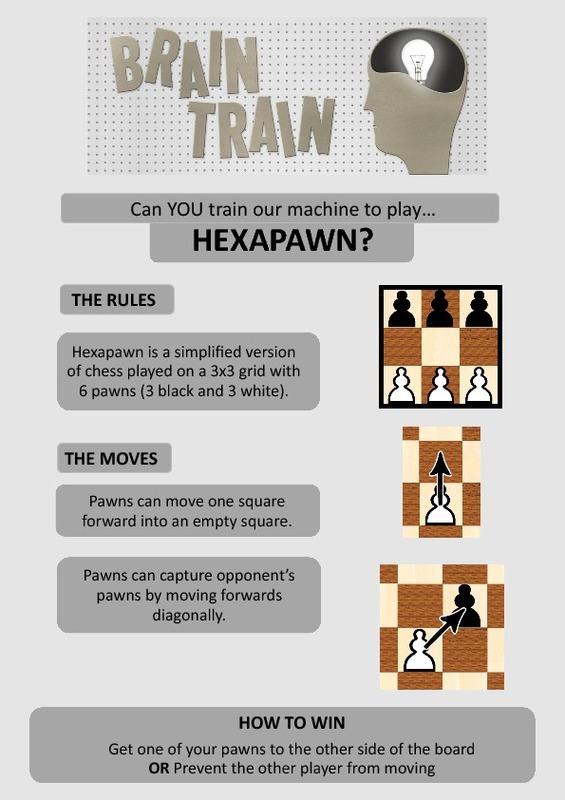 Hexapawn is a very simple game, but even still you need at least 37 drawers if you are playing black, or 33 if you are playing white. We found that small storage drawers made the ideal machine, such as those found here. 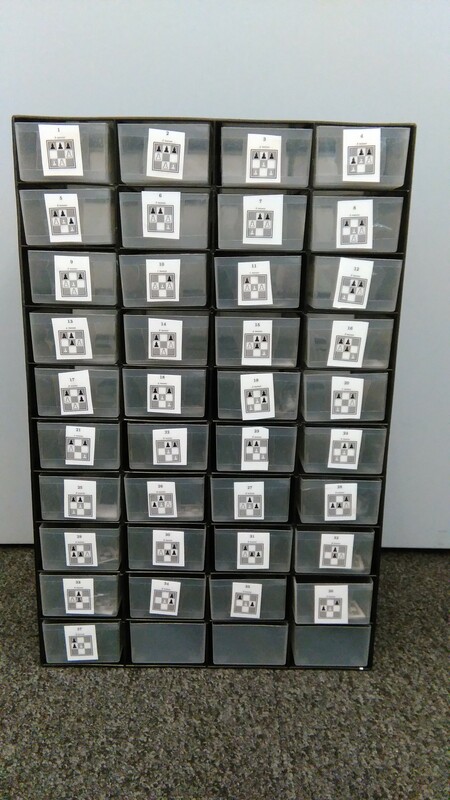 Each drawer should be labelled with its corresponding position and a token corresponding to every possible valid move from that position is placed within the drawer. The possible positions and valid moves were computed by writing a small computer program, which is left as an exercise for the reader. To save you the work here are all possible positions and corresponding moves for machines to play white or black. 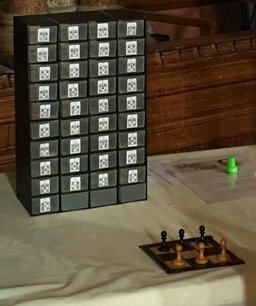 Each position is given a number, below which is written the number of valid moves from that position. The corresponding valid moves are marked by the same number with a star (asterisk) next to it; for example any position marked *1 is a valid move from position 1. You now have all the material that you need to build your own machine. Print out and cut up the appropriate set of positions and moves and use them to label and fill the drawers. For extra durability, we laminated the paper before cutting it up. Once you have your machine you need to train it to play the game and you do that by playing against it. You can play on a portion of a chessboard, or if you are really dedicated you can cut up an old chessboard to make a 3x3 grid, which is what we did. Part of the fun is trying to find the correct position in the set of drawers. 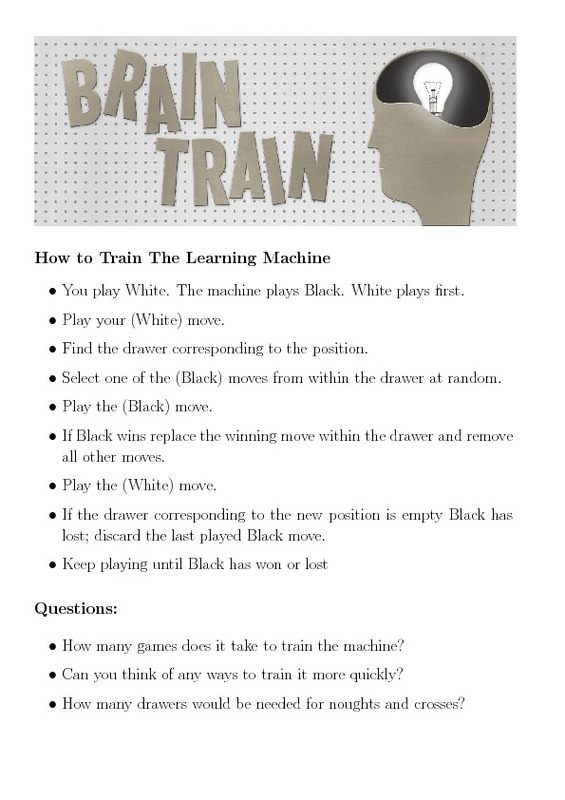 Below is one way of training a machine that plays black, which was the type of machine that we took along to The Brain Box. Of course, you can train your machine by using variations of the same basic idea which is to penalise bad moves and reward good moves. If you wish to pursue these ideas further than you can read about machine learning in general and, more specifically, reinforcement learning. Have fun!